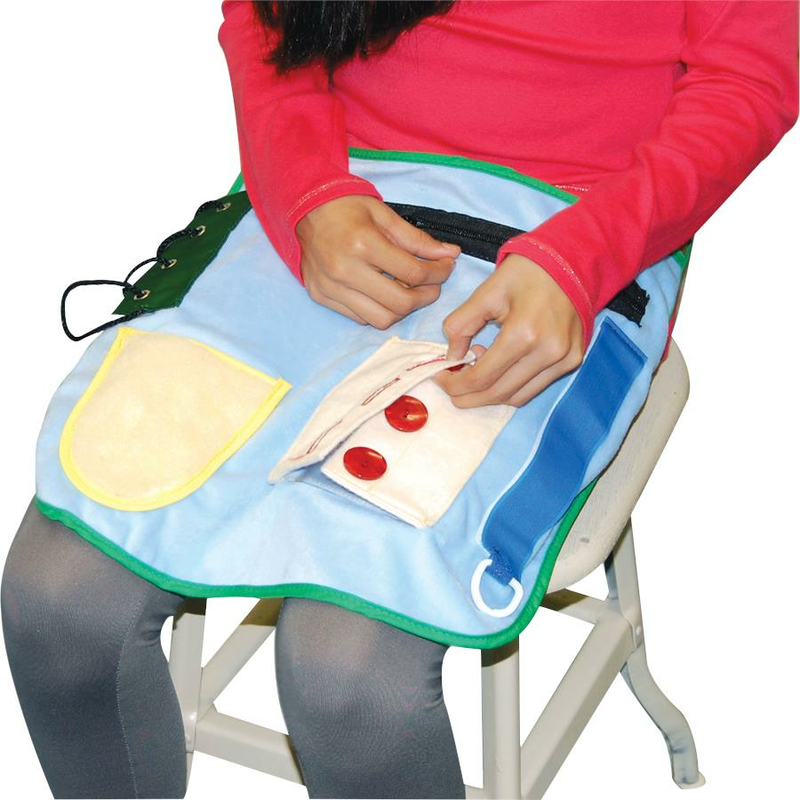 Skil-Care Activity Apron is appropriate for persons with decreased cognitive function that require tactile, visual stimulation, color recognition, improved eye-hand coordination, finger strength and development of motor skills that aid in active daily living (dressing, feeding etc.). 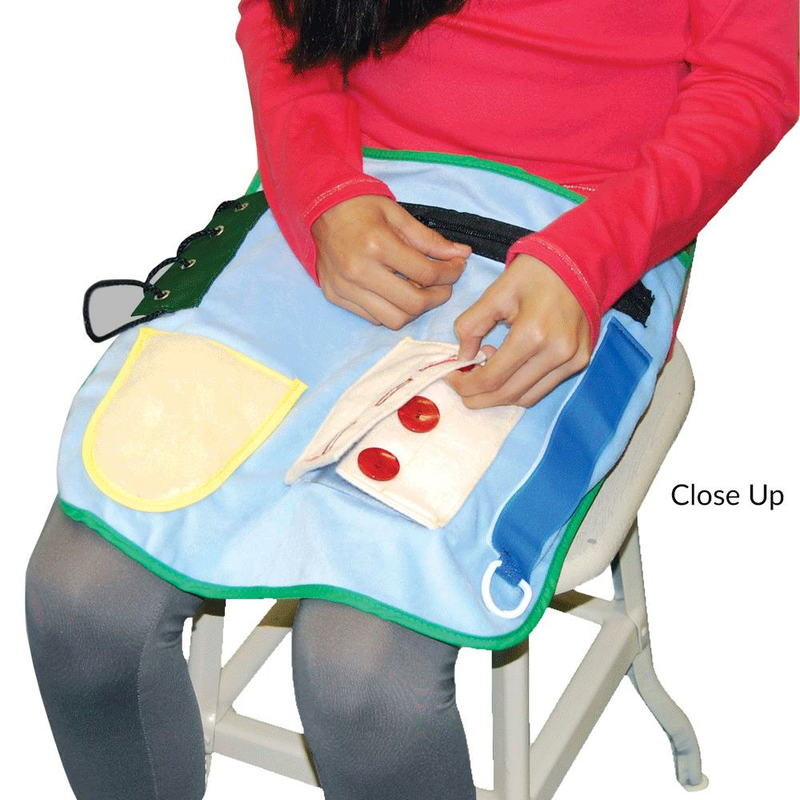 The apron also decreases chair exits by reducing restlessness and boredom. 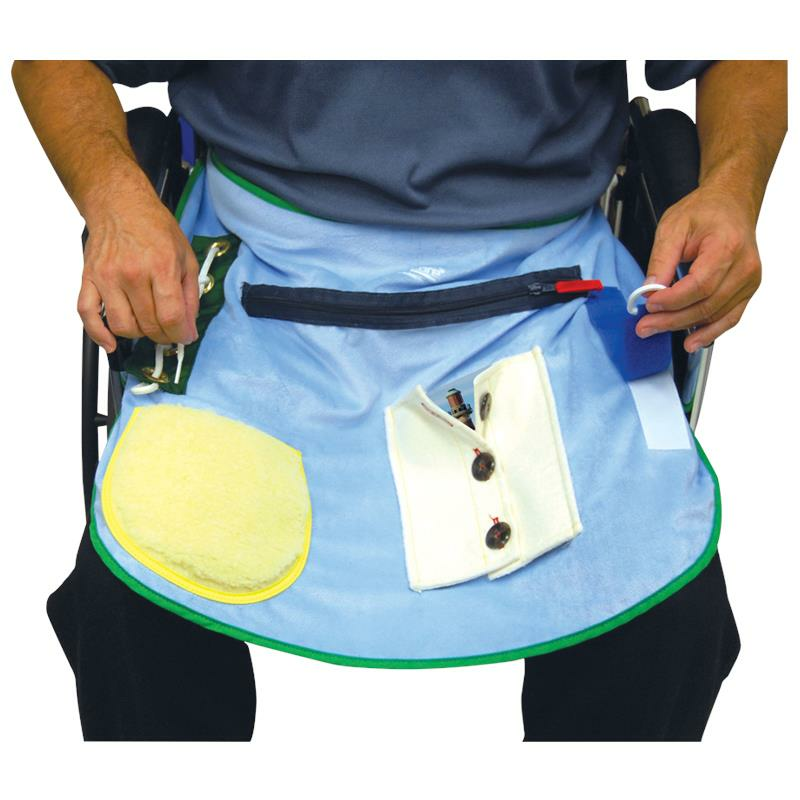 - The apron can be placed around the waist, on a table top or on a wheelchair tray. 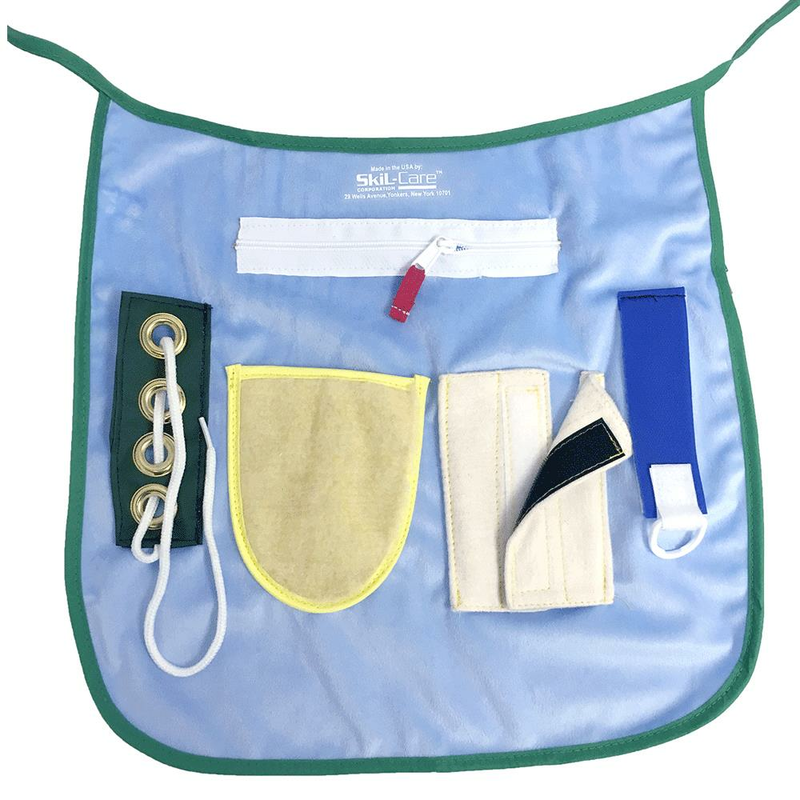 The resident can be instructed to sense the various tactile surfaces for tactile stimulation and recognition. 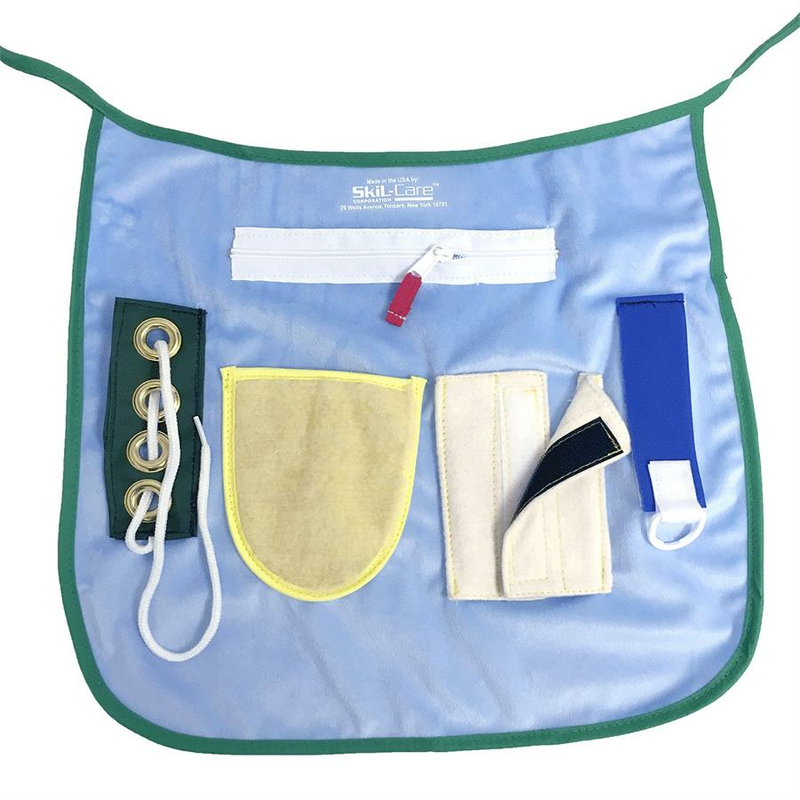 - The resident should also be instructed to participate in the various tray activities including: threading of the grommets, buttoning and unbuttoning, closing and opening of the zipper and opening and closing of the Velcro strap. 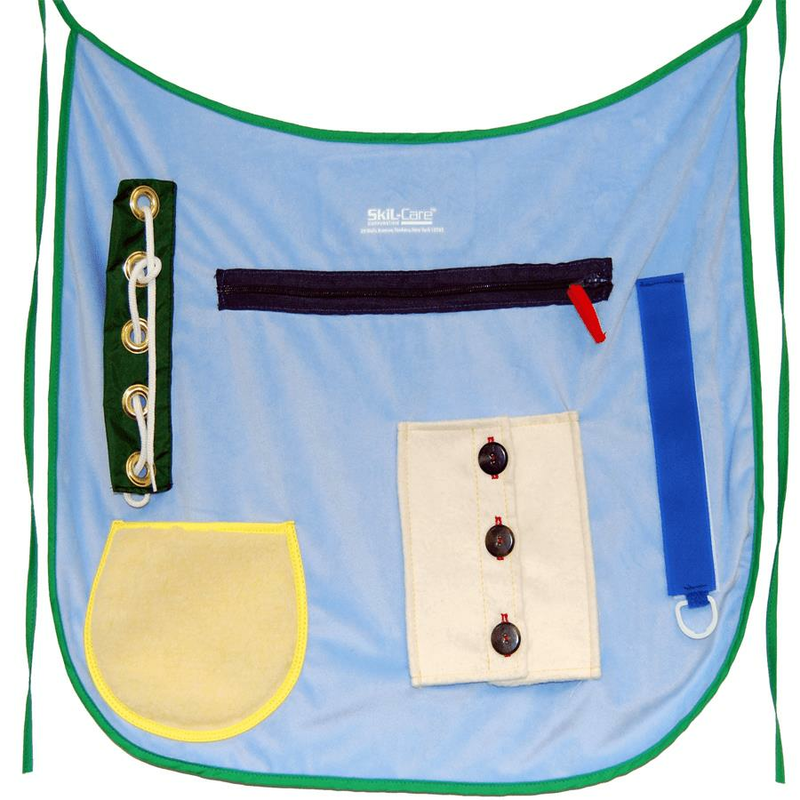 - The activity apron can be laundered in an institutional laundry but should be dried at temperatures (180degree F, 82degree C or lower). 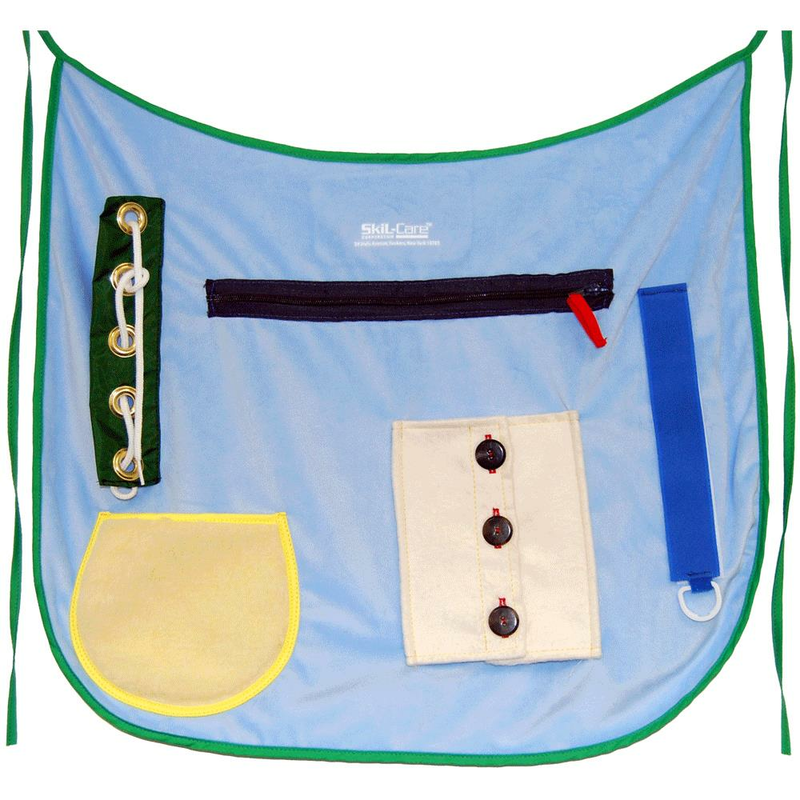 The apron should be placed in a mesh laundry bag when laundering.